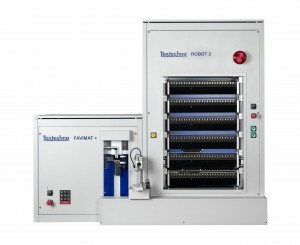 Textechno is a leading manufacturer of testing instruments for textile and man-made fibre industry. The range of products comprises fully automatic testers for the determination of tensile strength, linear density, shrinkage, crimp, interlace, and friction on textile and high-tenacity fibres and yarns, BCF yarns as well as for the behavior of textile and standard- and non-crimp fabrics with regard to draping and forming. In addition Textechno can also offer complete laboratory solutions for fibres, yarns and fabrics. Here they can provide consulting, layout, installation, training and application support out of one hand.